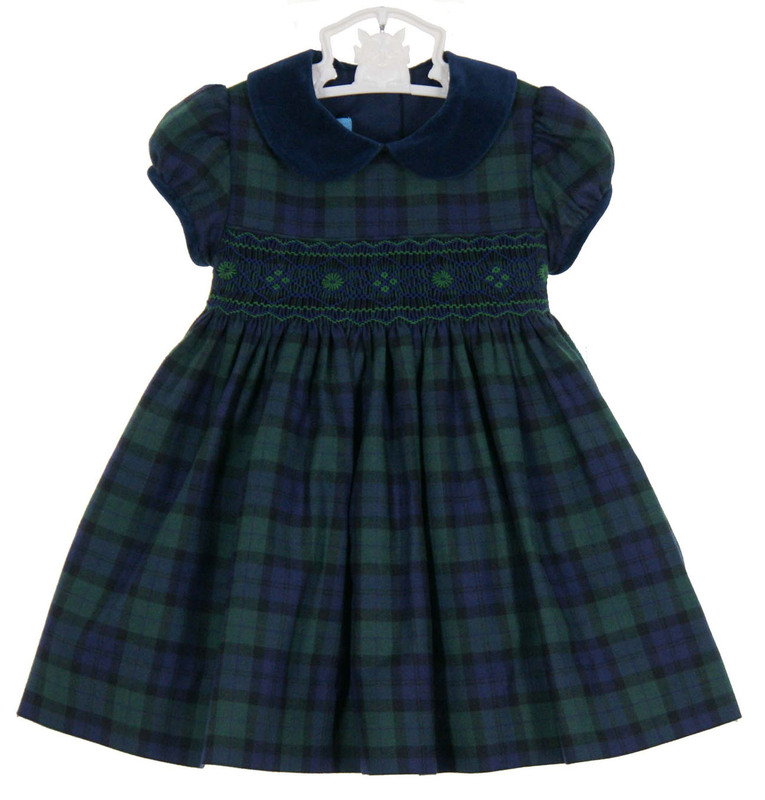 This beautiful blackwatch plaid dress is made by Anavini, a leading manufacturer of classic smocked children's clothing. Perfect for Christmas, this navy and green cotton blend dress has short puffed sleeves and a navy velvet collar. Sizes 3 months to 4T months feature a single row of smocking embroidered with green. 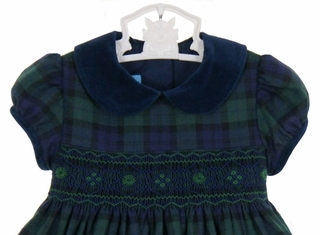 Sizes 5 to 12 have a stunning fully smocked yoke with green embroidery (see picture below). The bodice is fully lined with an attached ruffled petticoat slip for added fullness. A back sash ties in a sweet bow. 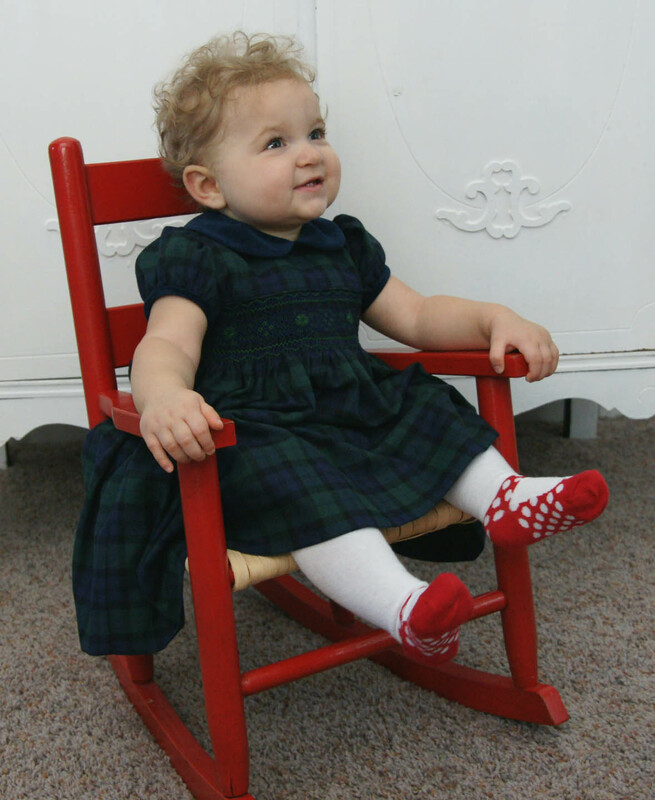 The perfect Christmas dress for your baby, toddler, or little girl! 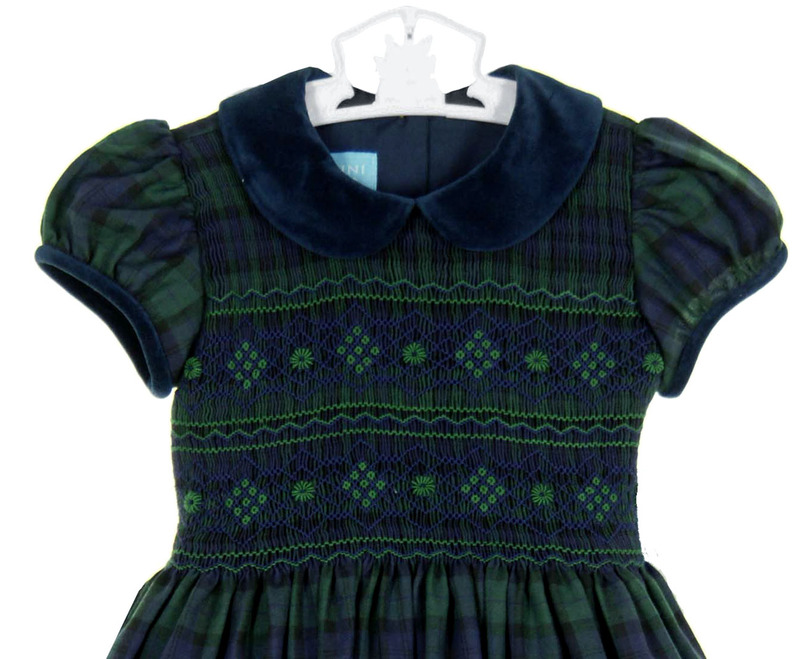 Note: This dress fits snugly in the chest. 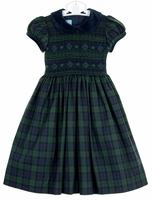 You may wish to order a size larger than usual.